The New York Times is again shilling for the Catholic-hating SNAP (Survivors Network of those Abused by Priests) with more false attacks against the Catholic Church. 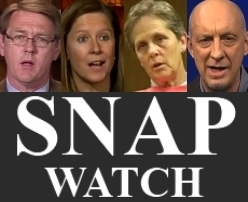 Yesterday (Tue., 3/13/12), the Times plastered a sympatheic, front-page portrait of the anti-Catholic advocacy group suggesting that the Church was trying to silence its critics by merely subpoenaing SNAP President David Clohessy for a deposition for relevant information he possessed. It was yet another transparent attempt by the Times to intimidate the Church from defending itself through the legal process. Then today (Wed., 3/14/12), the Times continued its attack with a misleading and error-laced editorial claiming that the Catholic Church is "threatening to expose private files" of victims in Missouri. This is patently and demonstrably untrue. 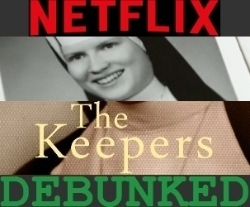 SNAP and the Church had already agreed that victims' files must be kept private. 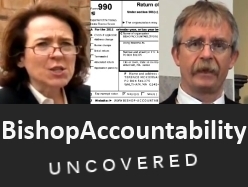 "Let me state at the beginning of this deposition that I do not want the names of any victims that have contacted you other than those that have contacted you and filed suit against [the accused priest in this particular case] or the Diocese of Kansas City-St. Joseph. Do you understand what I'm saying? I don't want the names – I don't want you to reveal to me the names of any victims other than those that have put their names forward in lawsuits. Do you understand that?" So Clohessy is simply lying when he claims that the purpose of his January deposition was about "discouraging victims, witnesses, whistle-blowers, police, prosecutors and journalists from seeking our help," as he is quoted in today's article. And of course the New York Times helps Clohessy promote this deception. However, as misleading as the Times' editorial is, it doesn't beat the nasty and dishonest commentary today regarding the Clohessy deposition from the dissident Rev. Thomas P. Doyle in the equally dissident National Catholic Reporter. Just like the Times, Doyle attacks the Catholic Church for subpoenaing Clohessy in an attempt to bully the Church from exercising its own legal rights. 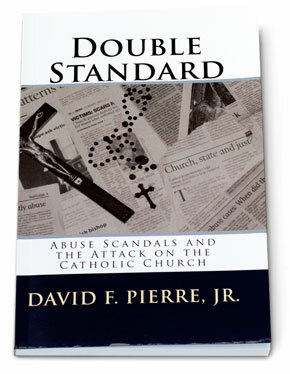 In doing so, Doyle airs several falsehoods (The Church wants to "discredit and intimidate victims"; "Nothing has changed since 1985") and red herrings ("The purpose of the 'church' is not the care and feeding of the hierarchy."). has apparently denied the historicity and doctrine of the Real Presence of the Eucharist by referring to it as a "symbol". The New York Times, SNAP, and Rev. Thomas P. Doyle: This week's three-pronged attack on the Catholic Church.